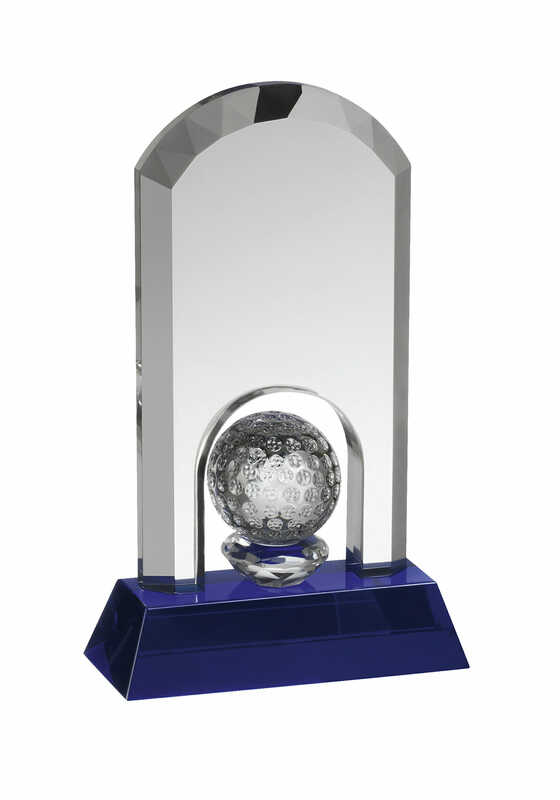 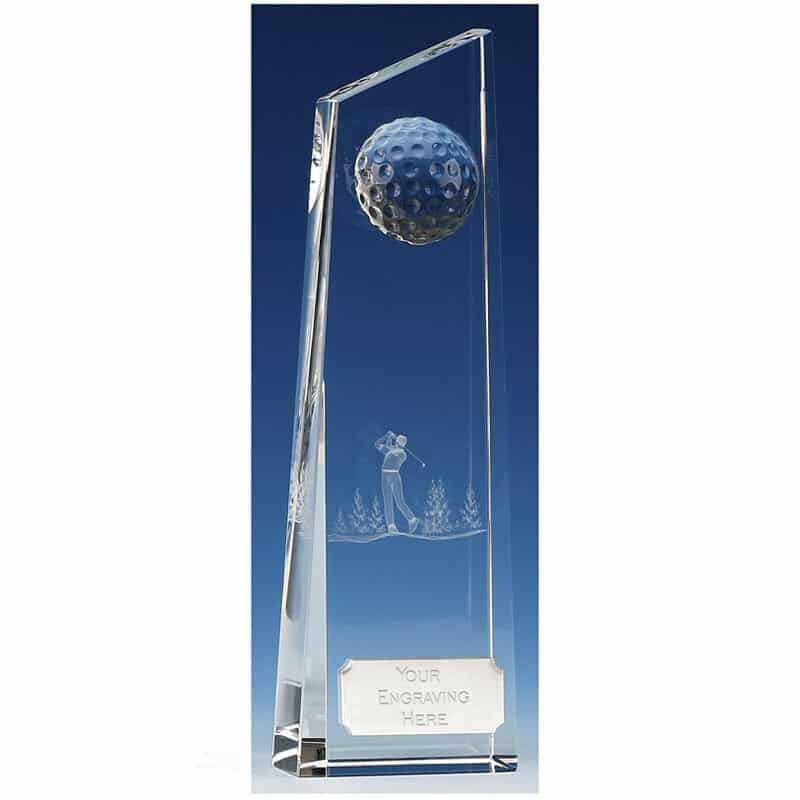 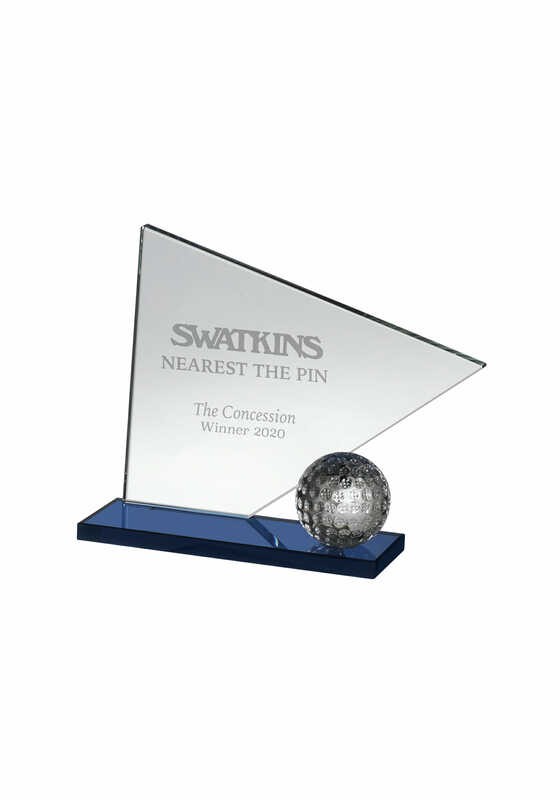 This Metal Golfer Figure Award is personalised on the glass base, with your choice of wording and supplied beautifully glass engraved, in a blue Presentation Box. 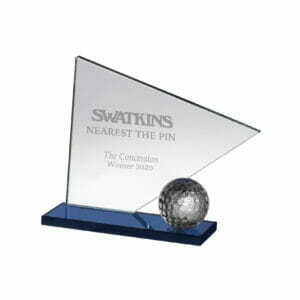 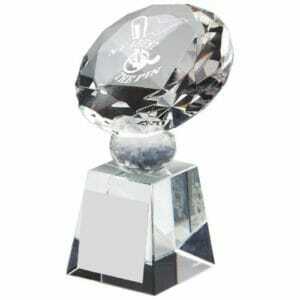 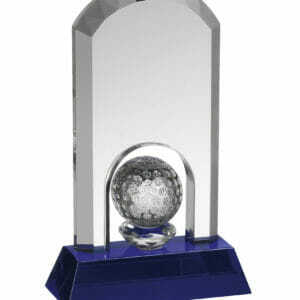 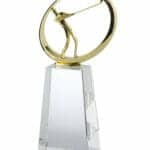 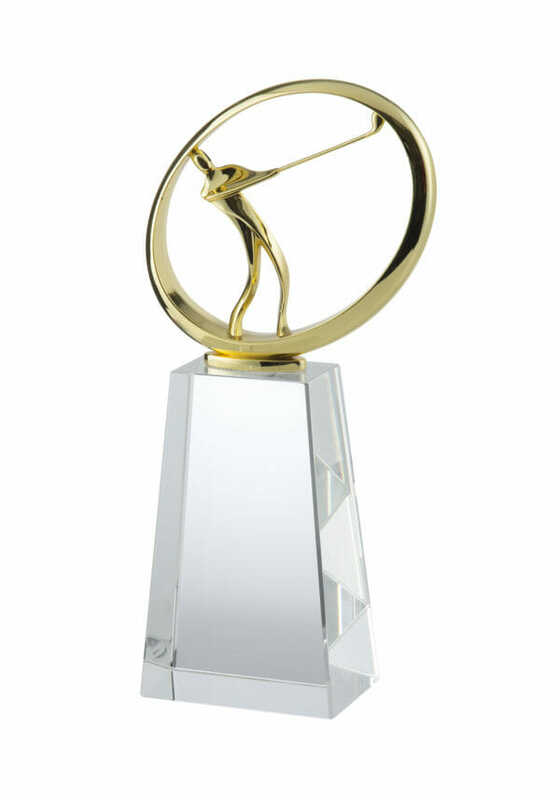 Ideal, well-designed Awards, for 1st, 2nd and 3rd positions in Golf Club Competitions. 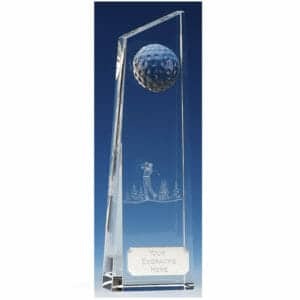 To have your image or logo glass engraved, click below and upload your file (eps or PDF for +£6).